So, because I’ve had to keep this a secret for 11 weeks, I’m devoting my first Thankful Thursdays back to our exciting news. 1. God’s amazing faithfulness. As my devoted blog followers know, Stephen and I have had two miscarriages in the last year and a half on the road to this pregnancy. Through it all, though it wasn’t easy, we chose to trust that God had a plan for our lives that included children. God has given us the desire of our hearts. This is a beautiful addition to our testimony of loss, and now of redemption. 2. My incredible, amazing, insert-every-other-good-adjective-here, husband. 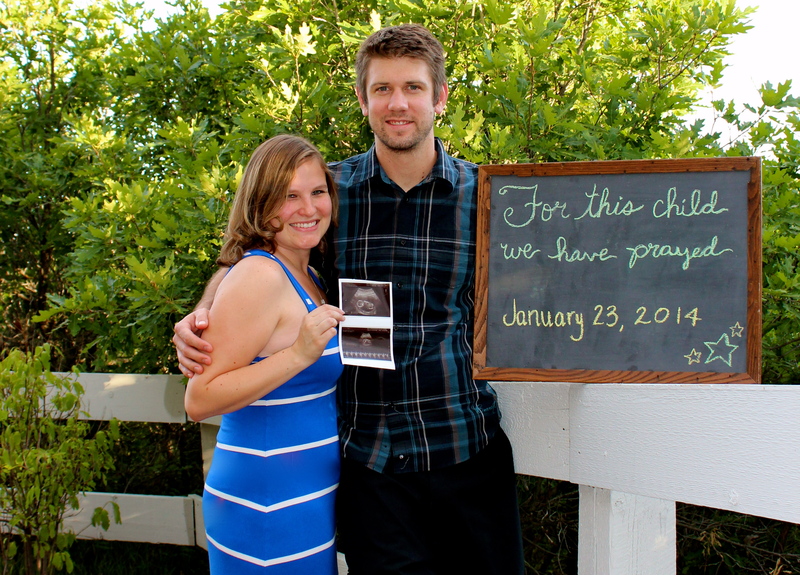 When we found out we were pregnant, it was a mixture of excitement and fear. Our past made it to where we held our breath for the first 8 weeks until our first appointment. And he was, as always, my absolute rock. He proves to me every single day that he’s going to be the best dad ever and I am so blessed to get to raise this child with such an incredible man. Plus any guy that will tell you that you look beautiful after you were just getting sick in the bathroom and he didn’t know… a keeper for sure. 3. The support, love and prayers of our families and friends. When I wrote “For this child we have prayed,” we represents a very large term. We’ve had prayer warriors from coast to coast speaking into our lives and praying for this blessing. This baby is already so loved. 4. The fact that I’ve had a relatively unexciting pregnancy so far. By which I mean that I’ve only been sick a little bit and have really had no other negative symptoms. 5. That we’ve gotten to see our baby so much. 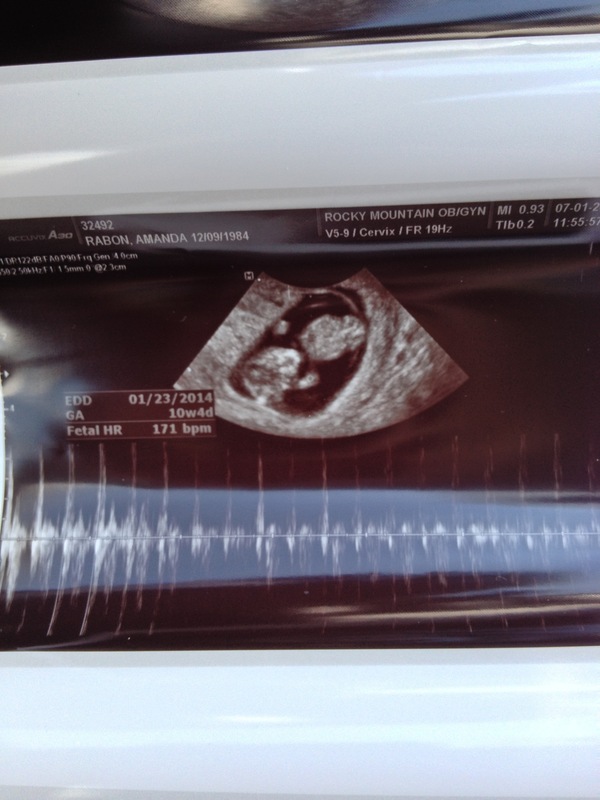 Because of our history, our doctor did two early ultrasounds to make sure everything was progressing nicely. Then, at our last appointment, a very giddy doctor peeked her head out the door and then said, “The ultrasound room is empty…want to go see the baby? Let’s go see the baby… just for a minute!” Who could say no to that? 6. Having a doctor who not only understands where we’ve been, but is SO EXCITED that everything is progressing “perfectly.” She has been literally giddy for our last two appointments to be able to give us good news (finally). 7. Our baby is already getting gifts from family. What generous people we have in our lives! 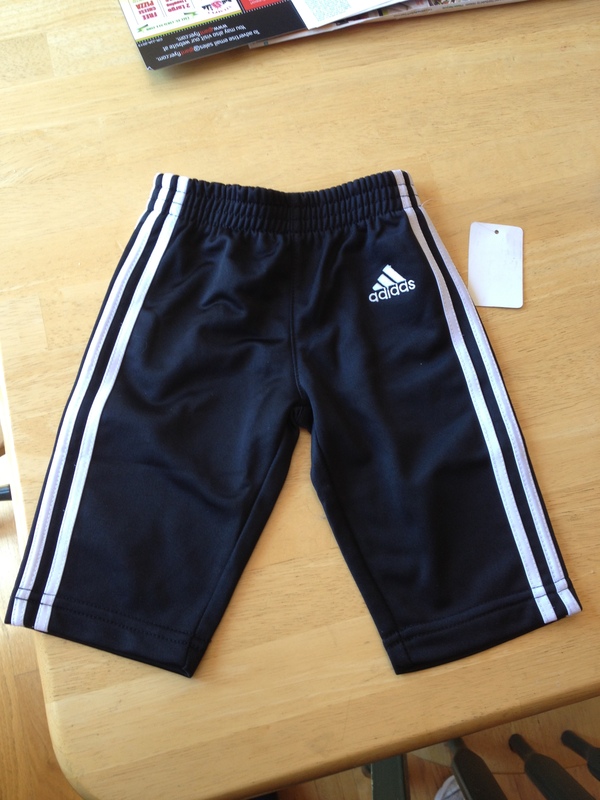 Thanks to Auntie Nikki & Uncle Aaron, Baby Rabon already has Daddy’s favorite style down! 8. That the first trimester was during the summer, when I work less. Getting those afternoon naps in these last few months has been a Godsend. It’s amazing how you develop narcolepsy when pregnant! 9. Getting to spend some quality time with both of our families in this early stage of pregnancy – it’s been wonderful to be so surrounded with love and support while getting to a “safe” point in our pregnancy. 10. 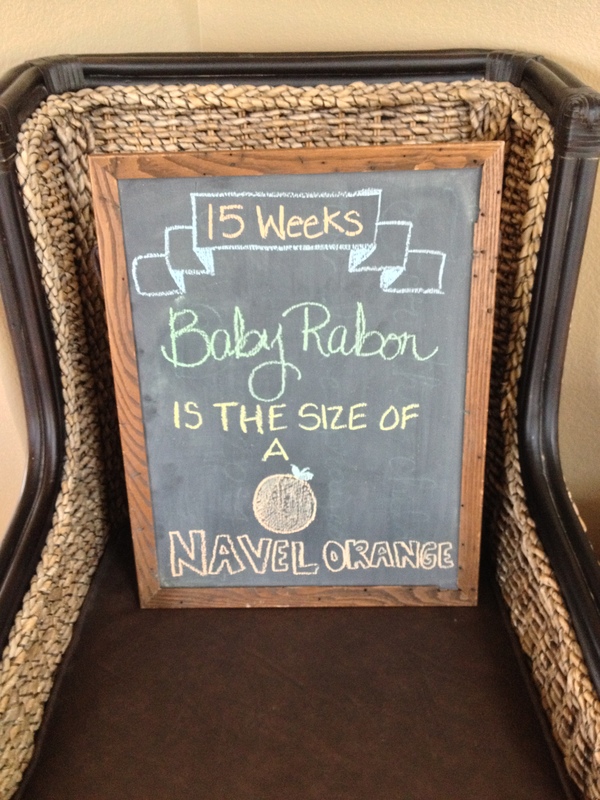 Now that we’re into the second trimester, we can finally feel secure planning ahead. Up until this point, we’ve been hesitant to think about a nursery or names or a lot of things that most people think about right away. So I’m really excited to start thinking about all of these things and planning for the future with Stephen. This photo is inspired by the Little Baby Garvin blog, which I follow regularly. On top of documenting her pregnancy through her blog and chalkboard (which I hope to do some version of), she loves fashion, party planning, and is pretty much hilarious. You have no idea how happy this makes me! 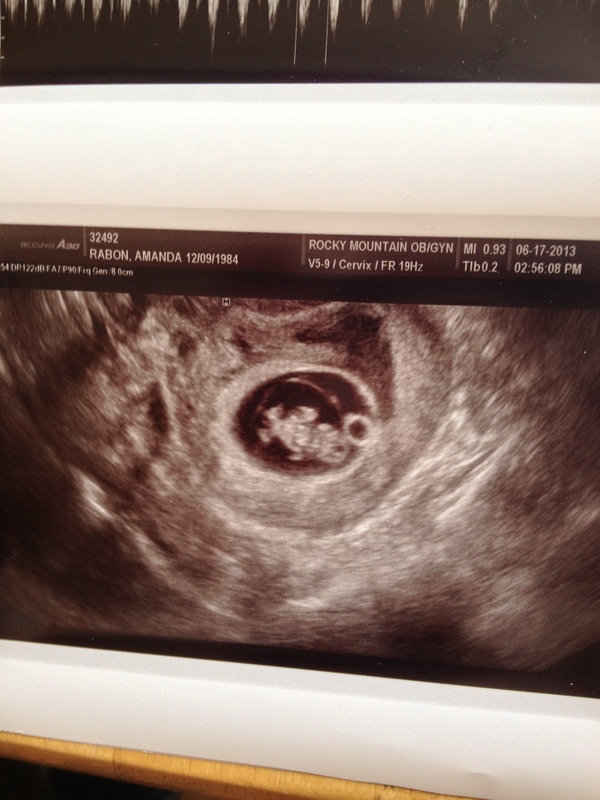 Every time I see a picture of your little gummy bear I get all excited all over again! 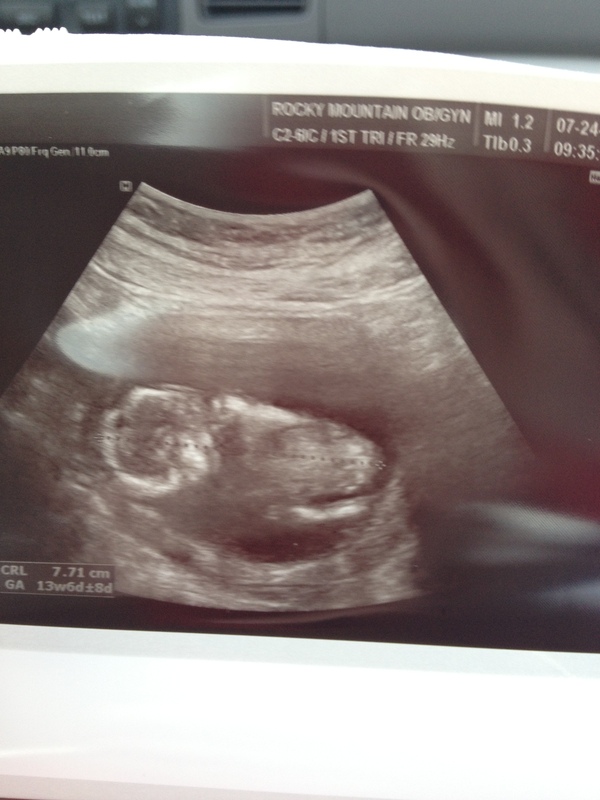 Can’t wait to meet/love on my newest niece or nephew!